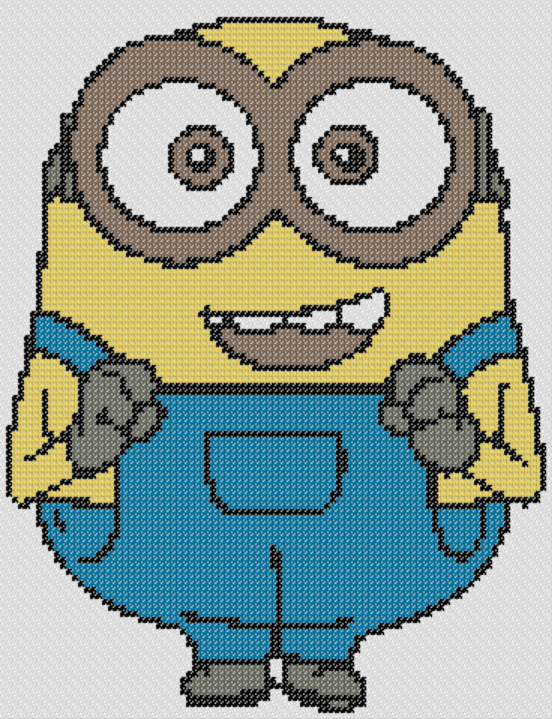 Download our Bob (Minions) beginner cross stitch zipped file (approx. 535kb — downloaded 297 times) The password for this download is “crossstitch4free” without the quotation marks. We plan to provide you with crossstitch supplies for sale soon, based on which free downloads are the most popular. We hope to make your search for the best cross stitch kits easy, especially if you are new to stitching, or if you would like to introduce this to your loved ones. Feel free to contact us and let us know if we can help you.